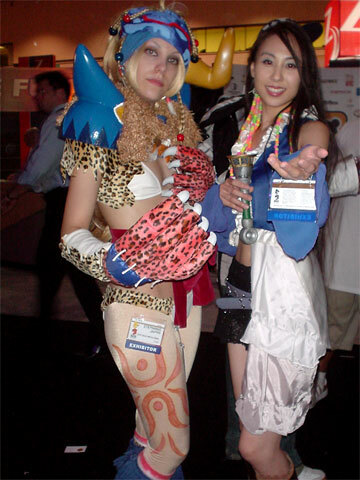 The Dreamcast Junkyard: Copy and Paste! Guess what? it's E3 soon. It's the biggest games event of the year, and we all love it. The Dreamcast Junkyard, however, reserves the right to be bitter because there is nothing REMOTLEY like it in England. This aside, E3 this year looks like it'll be the biggest and best yet, and in this extra special 'copy and paste' collectors edition of The Dreamcast Junkyard, I present Sega's more promising looking titles that are set to take the show by storm. Or possibly get brushed under the carpet by the PS3. Or the Wii. Or the 360. Or the new DS. Cough. Anyway, here's a few morsels of info regarding Sega's new Dreamcast descended offerings. 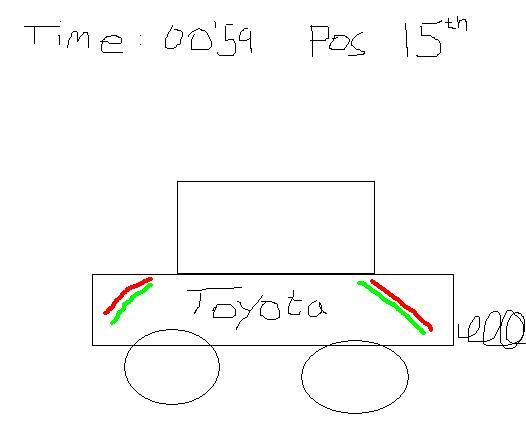 "With revolutionary dynamically deformable terrain, proprietary next-generation graphics, bone-jarringly realistic physics, and competitive bumper-to-bumper racing, SEGA RALLY will set a new benchmark in its genre with a high-tempo driving experience that’s every racing fan’s driving fantasy." 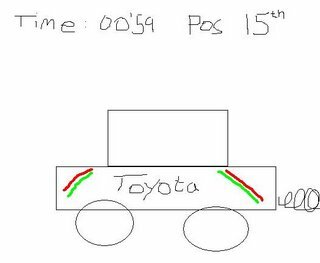 Please bear in mind that the artist is me. "Sonic celebrates his 15th anniversary by blazing his way onto the next-generation consoles, with his first adventure set in the human world! Featuring interactive 3D environments and a large cast of returning and new characters, get ready for the reinvention of Sonic The Hedgehog, in his most intense, high velocity escapade to date!" 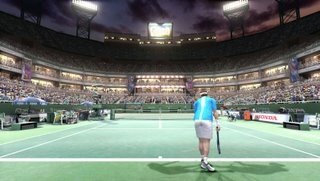 "With Virtua Tennis 3, the series returns with enhanced photo-realistic graphics and advanced player animations that perfectly match the behavior and mannerisms of individual professional players. Next-generation systems allow gamers to see the most detailed expressions on the faces of their selected players as they battle to win heated tournaments around the world. In addition to the popular mini-games from previous titles used to sharpen players’ skills, there will be a whole host of brand new mini-games to keep players in top form." There are a few others in the pipeline, but they are mostly new games that don't really relate to the DC. So they can go to hell. ...and rejoice that you won't be there. Another year, another E3... I'm personally pretty sick of the Sonic franchise at this point, but the new one doesent look half-bad. What can be done with Virtua Tennis that hasent been already done before? We'll just have to wait and see. But we all know Tennis 2K2 is the best. Tennis game. Ever. Ross, Ross, Ross...I take it you've never had the pleasure of reading The Beano. Forget DC Comics, Dennis the Menace rules when it comes to print based mischief. 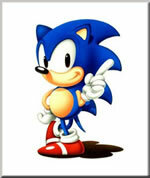 As for Sonic, I get what you're saying - but Sonic games generally tend to be top class affairs. 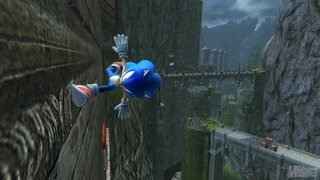 Excluding Rush, most of the recent Sonic titles have been really disapointing. 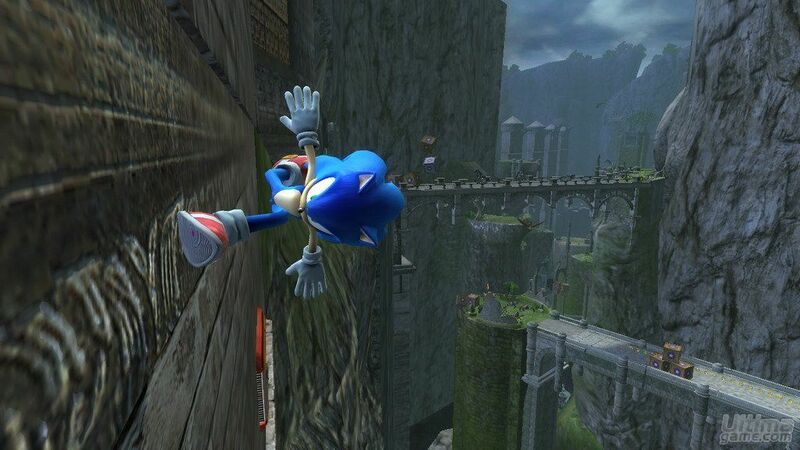 Oh, and the next gen Sonic game has Shadow in it. GHDFHHJGGHDGHKJ not again, can't we just have one Sonic game without any other crappy characters interferring! Fair point Gagaman. Who can forget the ridiculousness of Knuckles Chaotix? All of this extra character based nonsense seems to have stemmed from that. I dont know what you are talking about. This was a very funny post. Nice.